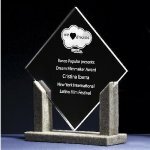 Deep Groove Solid Walnut Plaques are a quality choice for plaque awards. Available in three sizes. 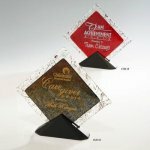 Stonecast material makes a traditional awards shape more untraditional. 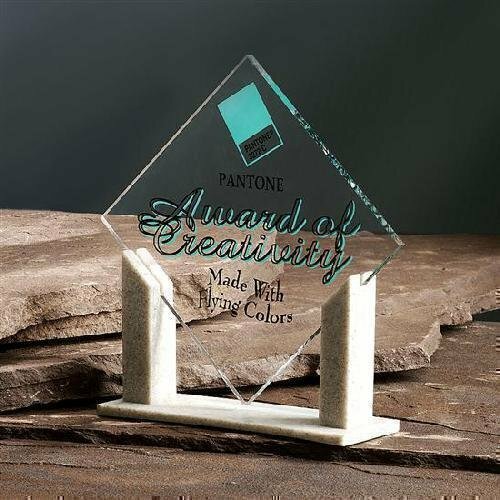 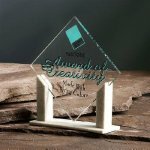 The two square columns hold the square acrylic in a diamond shape provides a new perspective on acrylic stone awards.